As the vacation scout in your family, I bet you’ve seen that Iceland is big this year. The attention is well deserved. Iceland is 100% fun and 0% stress. Getting there is simple and airfares are low. On top of that, Icelanders were just voted the Friendliest People in the World by the World Economic Forum. The best months to go are July and August, so peak season jibes nicely with school schedules. The summer days are extra long, which is good because there’s so much to do. If you check out the photos, you’ll see volcanoes, geysers, glaciers, lava fields, black sand beaches, vast wide-open spaces, and waterfalls. 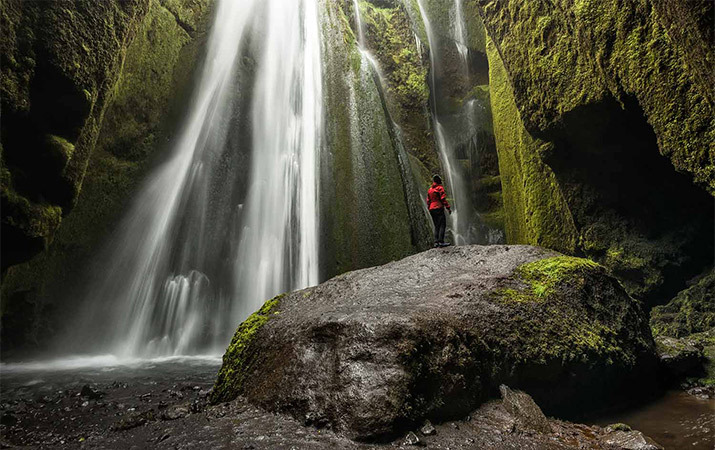 Still, as wild as Iceland looks, we’ve found that it’s extremely easy to navigate with the help of an accomplished local guide. On our multisport family trips, we get around in super jeeps, which are crazy fun to ride. With an experienced driver, you rumble out into terrain where it looks like no vehicle could go. And the places you end up are hardly to be believed. For instance, we go to a glacier where everybody straps on crampons and takes a guided excursion onto the ice. We walk in lava fields where molten rock cooled into weird shapes that make you feel like you’re on another planet. In one of the most unique places anywhere, melted glacier water bubbles to the surface in the gap between two tectonic plates. It just happens to be one of the best snorkeling spots on earth. We put on insulated dry suits and when you’re face down on the clear-as-glass water it feels like you’re floating in mid-air. For animal-lovers, we visit a colony of 700,000 pairs of Atlantic Puffins—birds that look like a cross between a penguin and a toucan. 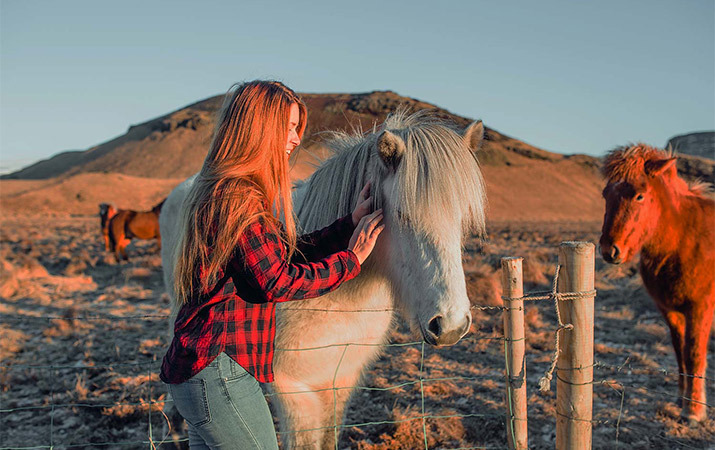 You’ll want to be sure to take a ride on the iconic Icelandic horses. Short-legged and shaggy, they were bred for the terrain, and it’s the nature way to see the countryside. Our trip also includes a whale-watching cruise with the chance to spot Minke and right whales. We make sure you meet lots of real Icelanders along the way, and they are just as nice as advertised. We like to wade into the geothermal Blue Lagoon with them for a chin-deep outdoor soak. Their friendliness translates into very family-friendly hotels, too. On our trips, we stay at two of them: a luxury deep-country lodge set on the banks of a river and named “Best Hotel in Iceland” and a hip property in the heart of Reykjavik. I recommend that you believe the buzz, and get your family to Iceland. It has the out-of-the-ordinary action, the non-stop fun, and the unbelievable scenery that make a vacation there impossible to forget for travelers of all ages.